Regardless of how much space you have to spare around your home, it’s hard to throw away a good wine bottle. There are just too many possibilities for that one 750ml glass container. From breaking it down and using it as colorful accents in concrete countertops or pavers to using the whole bottle as the basis for a unique lighting fixture, wine bottles provide us with an incredible variety of reusable opportunities. So fill up your wine glass and shake out those last thirteen drops. Following are some creative ways to repurpose your wine bottles, showcase your ingenuity and redecorate through recycling. Wine bottles are beautiful, sturdy and come in many different colors and styles. From the clear glass and soft, sloping sides of a Riesling bottle to the dark green and hard, sharp shoulders of a Cabernet Sauvignon, wine bottles are decorative pieces in and of themselves. Add a couple inexpensive items that you can often find around your home, however, and you can create a wine bottle chandelier that will definitely spark some conversations. Place your wine bottles on the piece of plywood and arrange them in a square. Using a pencil, draw an outline around your wine bottles and then remove them from the plywood. Use the jigsaw to cut out the plywood pattern. Sand the edges of the plywood, making sure it looks smooth and finished. Find the center of your plywood piece and attach the u-bolt using a drill to bore the holes. Attach the decorative chain, leaving enough length so that you can cut it later if it needs to be shortened. Run a decent amount of superglue around the bottom of the wine bottles and place them on the plywood. Run the 24 gauge wire around the outside of the bottles to hold them in place. Add as much or as little as you like, just be sure the bottles are securely in place. Fill each of the wine bottles with Christmas lights. You can use the battery operated ones and switch them on manually, or fill with standard Christmas lights and run an extension cord to the top of the chandelier. That’s it! You can also stain the plywood base, paint it, attach decorations or cork below the base, use decorative wires to hold the bottles in place, use u-bolts on the outside of the base instead of the center or change it around however you like. Wine chandeliers are excellent for outdoor spaces and can be used to decorate a back porch, a favorite place under a tree or even to fancy up an old tool shed. Start by thoroughly cleaning and removing any labels, gunk, etc. from the wine bottle. Wrap a length of yarn five or six times around the bottle exactly where you would like to cut it and tie off the yarn. Slide the loops of yarn off of the bottle and soak thoroughly in the nail polish remover. Slide the soaked loops back onto the bottle and light the yarn, allowing the yarn to burn until the fire has almost completely gone out. Be sure to do this in a well-ventilated area and take all necessary precautions when working with fire. Once the fire is almost out, place the bottle in the tub of cold water. This action should cause the wine bottle to separate just below the yarn. The final step is to sand the edges of the glass either using sand paper, a glass grinder or fire polishing using a kiln. Once you have a smooth edge you’ll be ready to show off your new glassware. Cutting your wine bottles doesn’t have to stop at glasses, either! You can use them for making candles, cut lower to create small snack bowls or fill them with flowers and use them as centerpieces. What are some ways you’ve found to repurpose your wine bottles? 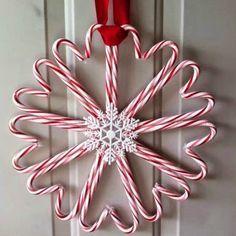 This entry was posted in Around the Home, Crafts, Decorating, DIY, Uncategorized and tagged Cost Saving, Crafts, Decorating, DIY, For the Home, Gifts. Bookmark the permalink. ← How To Quick Flip Furniture For Fun And Profit.